Just days after forming a strategic partnership to breathe new life into the Youanmi gold mine, Venus Metals and Rox Resources have jointly acquired a 90% stake in the historical high-grade Currans Find gold prospect. 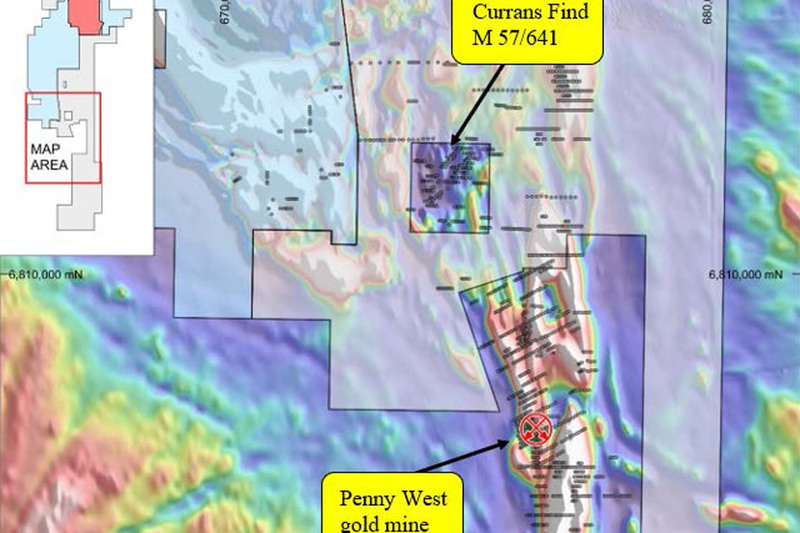 Currans Find is located just 5km north-northwest of Spectrum Metals’ high-grade Penny West deposit in the Murchison region of WA and is surrounded by the companies’ existing JV regional tenement holdings. Historical records show that 6874 tons were treated from the site for a recovered average grade of 13 grams per ton gold. Gold mineralisation at Currans Find occurs in multiple east-northeast trending quartz veins hosted within mafic and ultramafic rocks. The veins are generally dipping to the southeast, which are either truncated or offset by faults or shears that could also be mineralised between the offset reef positions. Cross-cutting structures are evident from airborne magnetic geophysics, which also shows a demagnetised zone over the main mineralised zone. Management said that similar rock types also host the Penny West and Columbia–Magenta deposits in Spectrum Metals’ ground south of Currans Find. Venus and Rox will each pay Doug Taylor and Murchison Earthmoving & Rehabilitation $75,000 in cash and 450,000 VMC shares priced at 17 cents per share and 7.5 million RXL shares priced at 1c each respectively for their equal 45% stakes in Currans Find and the nearby Pinchers mining lease. Mr Taylor will retain a 10% stake in both Currans Find and Pinchers. Last week, Rox and Venus formed an equal joint venture to develop the Youanmi mine, which has a current JORC 2012 resource of 12.4 million tonnes going 2.97 g/t for nearly 1.2 million gold ounces. Rox is acquiring its initial 50% interest in the Youanmi mine by paying $2.8m in cash and issuing Venus with $200,000 worth of Rox shares priced at 0.8 of a cent each. Rox is also obliged to spend at least $2m in exploration over the next two years. At any point up until June 2021, Rox may increase its stake in the mine to 70% by paying $3m in cash and shares to Venus. Venus will retain a 0.7% royalty over the project and the non-gold rights to the wider exploration play in addition to its 30% interest. In addition, the two companies have also entered into separate equal JV arrangements for the gold rights within Venus’ significant regional tenement holdings and Venus’ existing 90% JV with a third party. These JVs will initially be managed by Venus.